Sedona AZ (August 20, 2013) – At the Sedona City Council Meeting on August 14, 2013, among the public speakers was Peter Fagan, Chair of the Budget Oversight Commission. 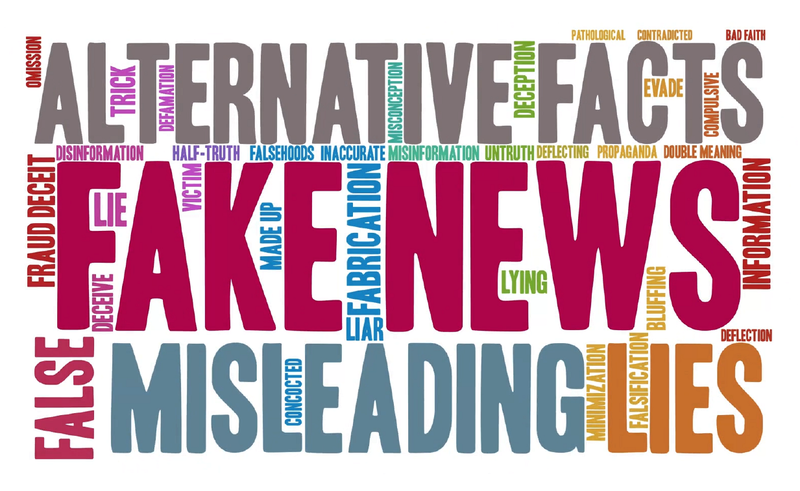 Mr. Fagan specifically included Sedona Eye as a source that provides “all negative articles.” Well, suppose we take a look at some recent turn of events and then decide. City Council voted 6-1 to defer the proposed sewer rate increase of 10%: Councilman Mike Ward was the dissenting vote because he thought a specific time frame should have been established. However, and at least for the time being, it is very positive news for residents who are connected to the WWTP. More good news for those who have service contracts with the City: An increase of $53,630 over last year meant a combined designation of $1,244,600 to the Sedona Library, Sedona Chamber of Commerce (visitor services), Sedona Chamber of Commerce (destination marketing), the Sedona Community Center, Sedona Main Street Program, Sedona Humane Society, Sedona Recycles, and Valley of the Sun YMCA. Councilman John Martinez was the only dissenting vote. For obvious reasons it was also positive news for non-profit organizations and area events that shared in receiving grants (in various amounts) totaling $153,700 ($3,700 more than last year): Those grant recipients were Sedona International Film Festival, Sedona Arts Center, Chamber Music Sedona, Red Rock Arts Council, Oak Creek Watershed Council, Sedona Chamber of Commerce (again and for the Sedona Marathon), Verde Valley Caregivers Coalition, Sedona Arts Festival, Sedona Arts Center, Hummingbird Society Yavapai Big Brothers Big Sisters, Sedona Fair (Winefest), Gardens for Humanity, Verde Valley Sanctuary, Red Rock Youth Football, Sedona Sunrise Center for Adults, Sedona Public Library (again), Sedona Community Center, Sedona Historical Society/Heritage Museum, Benefactors of Red Rock State Park, Inc., and Gardens for Humanity. Council members who voted against were Barbara Litrell, Mike Ward, and John Martinez. Mayor Adams has gone public to assure the residents of Sedona that the city is doing fine financially, even criticizing those who suggest otherwise: Apparently that must be true because contracts continue to be awarded for one reason or another at the Wastewater Treatment Plant and at the council meeting on August 13, an amount not to exceed $195,905 was approved for drainage improvements at the now famous “Cash Hog” – more familiarly known as City Hall. In addition, a resolution was approved authorizing an Intergovernmental Agreement between the Sedona-Oak Creek Unified School District and the City for Arts Education Program funding in the amount of $18,000. Further substantiating Mayor Adams’ reassurance that the City must be so rolling-in-dough, Sedona Community Development Director Kevin Snyder said “they” (“us”) agreed to give $5,000 this year in funding for the Fantasy of Lights BECAUSE the new owner of Los Abrigados (Diamond Resorts International) claims it cannot continue to host that annual event BECAUSE it’s become cost prohibitive for their timeshare investors to afford the necessary increased CAM fees to sustain the event! That’s really a shame since Diamond Resorts International reported they (not us) “only” earned $96,232.96 in the FIRST QUARTER of 2013 (that’s an average of $32,077.65 per month)! However, the Chamber of Commerce has again stepped up to the plate and offered to seek “community support” which anyone “in-the-know” readily translates into a future City “takeover.” Over and above the expense for lights and related decorations, what do you suppose will be the cost of the electric bill? Let us all be grateful that ADOT remains the owner of West SR 89A and its right-of-way will prevent using the controversial light poles to be adorned with even more lights. Back to the subject at hand, the foregoing has been positive, positive, and positive for those on the receiving end: Money, money everywhere . . . except . . . guess what? It seems the Drainage Master Plan for Sedona over the next decade will be around $20 million and so enter 1) secondary city property tax, 2) special improvement districts, and/or 3) general obligation (GO) bonds. Now how could any resident within Sedona City Limits consider those possibilities as being negative? After all, for the time being, an increase in sales tax is off the table and, if the city finalizes the proposed increased bed taxes in October, it remains questionable whether or not the city will realize any return, substantial or otherwise, on that additional funding – because of its reinvestment to the Chamber of Commerce for unknown (if any) financial benefits from inflated destination marketing. Is anyone out there aware whether – at any time – the City of Sedona considered cutting “benefits” and or redirecting development impact fees from land purchases and art in public places? Oh, but that might be perceived as “negative” since it’s only private properties that continue to be in jeopardy and sand bags prevail this time of year . . . just in case! Ask the owners of the historic Hummingbird House and Tlaquapaque and elsewhere who remain at risk how they feel about the public statement from Councilman Mike Ward, “If we want to implement a Drainage Master Plan and see it through, we have to find a way to finance it.” It would be interesting to know if any threatened properties have pursued legal avenues. In fact, has the City been sued or made settlements on other matters – such as termination of past employees? Of course, that’s hush-hush stuff but hopefully and appropriately “positive” for those who deserved justice. Hmm . . . wonder what happened to that concept in the mayor’s glowing report on the city’s financial state of affairs? Could it be that the only “upbeat” outlook for Sedona is that it remains a “Cash Cow” for everyone except the residents who live here? Without a pricey bill attached, we (“us”) don’t even rate adequate drainage! Although it’s constantly suggested that we pattern Sedona after other places, the fact remains we are not Taos or Santa Fe, NM; Aspen or Telluride, CO; Palm Springs, Palm Desert, Napa, Santa Barbara, and or San Diego, CA. We are not Yuma or Scottsdale, AZ. Ask yourself this question – Why don’t those places attempt to copycat Sedona? The answer is pretty obvious, really. It is because it’s impossible. It wasn’t the Chamber of Commerce or the Lodging Council, or fabulous artists who readily acknowledge the challenge of capturing Sedona on canvas; it was an untouchable power who blessed Sedona with four mild seasons, the magnificent red rocks, incredible sunsets and not-to-be believed daybreaks, and, for those of us who live here, the privilege of being surrounded by a national forest. How could any of the aforementioned locations even entertain thoughts to compete with Sedona, Arizona? Which effectively offers, over and above the property tax ultimatum now on the table, new and true meaning to the legacy we’ve inherited so far from our Earthly Whiz Kids since the onset of incorporated Sedona. Liked this article on Facebook. Those not interested in belonging to a Chamber of Commerce organization could consider another organization such as NFIB. A suggestion was recently made by a residents in Camp Verde in the Camp Verde Bugle about just getting businesses together and spending their money or time as they see fit. Due to the strong support Folksville USA has received by businesses and residents, I’ve often thought that a “Chamber of Cleanliness” would benefit all of our communities. cost-benefit comes to mind. During the week of August 26, 2013, installation of a drain pipe system will begin at the City of Sedona City Hall. The pipe system will be installed in the north and west parking areas, as well as in the northwest corner of the property and across Roadrunner Drive, just north of White Bear Road. Traffic will be constricted along Roadrunner Drive and through traffic will be blocked at times, within the City Hall parking areas. The entire project is expected to take until the middle of December. Construction work is being performed by Standard Construction Company, Inc. of Avondale, Arizona. 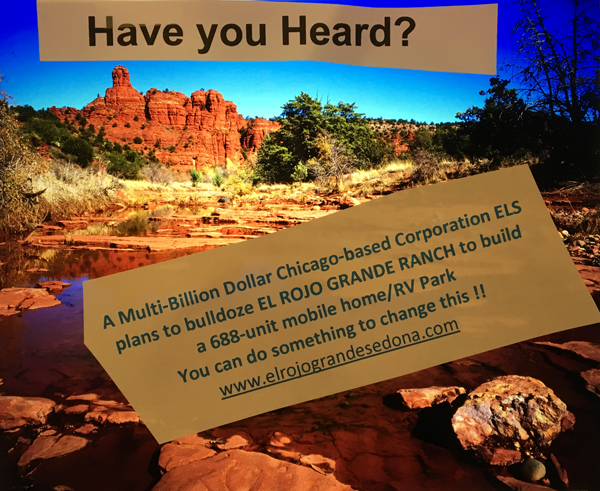 This is a City of Sedona project. If you have questions regarding the project, please contact Stephen Craver, Associate Engineer at (928) 203-5059. Senior Center Assistant at City of Phoenix, Arizona, liked this article on Facebook. Great article, very clear and well written. I always enjoy reading everything you write, refreshing, accurate. Thank you for keeping us informed. Thank you, James P. I appreciate your kind words. And for those who might think otherwise, you are not a pseudo name being used by me. Neither are Mrs. Roger Thomas, Steve Black, Uptown, Liz Smith, and others which at the moment I’m unable to recall. To my knowledge I’ve never met any of you and do not know of you otherwise. Actually it’s quite complimentary to be credited with being so versatile and talented not to mention the time involved it would take to produce such a variety of skills. That being said, it’s rewarding to know that people read Sedona Eye and respond with confidence, knowing their opinions will be fairly published without prejudice. Thanks to all. 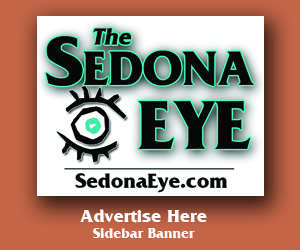 Not only is Eye of Sedona not negative, I truly enjoy the articles you share because they are up front and honest. Someone is hiding something? Not Eye on Sedona but those who say you are negative. Why is it that in the face of reality some people cry wolf and most of us know how that story ended. Speaking of Peter Fagan and the Budget Oversight Commission, it was swell for the City Council when they carried out its marching orders. The Council wanted revenue generation ideas, and this Commission complied–looking to the people who live here to pay more taxes. At the April 26th City Council Budget Workshop, Chairman Fagan stated there was a need to find $2 million/year for the next 5 years in order to pay for non-WW capital projects. Thereafter, Veep Budnick presented several revenue generation ideas. A 1% City Sales Tax increase and a City Property Tax (i.e., General Obligation Bonds) were a few options presented. Swell for the Mayor and City Council that they avoided the stigma of having to come up with unpopular ideas themselves. The City could easily make do without Park Land Acquisition, Creek Access, a Feasibility Study of a Multi-Purpose Facility at the WWTP, a Bike Skills Park, a Splash Pad at Sunset Park, etc., all in the current fiscal year budget. Saving money and spending less would benefit our taxpayers. The following was sent to me from a Sedona Eye reader. The information is a portion of an article which appeared in the August 25, 2013 edition of the Verde Independent. The first figure indicates population of the identified city or town and the second is the base annual salary. Well, Eddie, I did the math on your list above. Don’t you think we should all be glad we don’t live in Jerome as their cost per capita for the pleasure of having a city manager is a whopping $139.45! The low cost Competition winner – per capita – was won by Prescott valley @ $3.59 – second lowest was Prescott proper @ $3.66. Congratulations to them! Considering their populations are 3 times larger than ours….looks as though they appreciate a cost effective approach to city government. Wouldn’t that be a refreshing breath of air here in Sedona? Just guess who came in #2 on the High end under Jerome! None other than our town of Sedona @ $16.70 per capita! Very impressive and I’m very sure that the Budget Oversight commission (BOA) that the city got rid of to save money- will have some backward thoughts on how they should have overseen their responsibilities of cost effective governance. Also guess the BOC neglected to realize our city manager (at $16.70 per resident) supports our Chamber of Commerce that is actually a Regional Chamber vs just one inside our city limits and our guy at $16.70 has not “educated” the council to the difference and hence our illustrious electret’s … Feel completely (uneducated) comfortable just shoving money towards the “Regional” Chamber….even though the Region isn’t paying any city sales tax or bed taxes. Oh, hold on! Isn’t there a guy (Steve) on the BOC who advised both Council and Lodging group to raise sales and bed taxes? Isn’t he the same guy who is chair of the Lodging council? Isn’t he the same guy who owns a property outside our city limits that he rents out for events and weddings at $2k per and charges no city sales tax for? Isn’t this called inbreeding? Just check out his website at http://www.elportal and go to the wedding site part. Call me crazy – what am I missing? Better yet – what in hell is Council missing – and why? Opps seems they are missing $20,000.000.00 to pay for current drainage issues. Hum. This loss doesn’t seem to have meaning to Mike Ward who told us all that we would have to just get ready to find new funding to pay for everyone’s wants….before the basic city responsibilities. OMG! While the city manager supports the business’s outside our area by continuing to support – without thought and with all his superlative recommendations to our Council – a chamber who will take dues from anywhere in order to promote their needs of getting more members and money from city…looks like they are just boosting numbers……..and chamber’s region is far wider than Verde Valley….and our sales tax base doesn’t benefit. So why are we paying such a high dollar amount to a guy who doesn’t put Sedona – per capita folks – first? Thanks Eddie for keeping us informed…and keeping me laughing at the lack of good city governance – on any level. 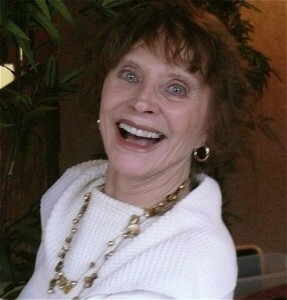 Let us not forget those who spoke to city council for funding for the arts who also live outside incorporated Sedona. They advocate for city to buy up land for things like art museums and who is footing the bill? Not them. Point – count up residents of all Verde Valley who solicit money from incorporated Sedona and Helen C. is right. This little dot on the map is functioning on a regional basis. No wonder we have a high priced city manager but too many benefiting are not paying for it. Residents here will remain bogged down in swampy land and high taxes without consideration. The buck stops with the city council not the city manager. “Regional” interests and representation of both the Chamber of Commerce and Arts Commission have been exposed. What about the “regional” interest of the Sedona city staff? At the city council meeting on July 30th held for the purpose of reviewing procedures for establishing a city property tax and discussion of special improvement districts (GO bonds), City Manager Tim Ernster affirmed staff’s approval of city property tax implementation in any form. And just how many of the city staff in fact do not reside within Sedona City Limits and therefore will not be contributing to city property taxes in the event they somehow become effective? Sure must be nice to be in a position to call the shots on socking it to those very people who have made it possible for them to have jobs as city employees. Of course they would “approve” any means to increase $$$ to the cash cow that supplies them and how many others outside city limits with their daily bread (and milk)? Marv makes excellent points! My hat is off to you, Marv, and keep up the good mental detective work and salient words! Guess the simple and very basic question is directed to CITY – who posts on this site regularly- so I’m sure they will see this and would hope they will respond to a public information request- (instead of just doing their one sided routine): How many of your employees actually live within the City boundaries? Perhaps the Mayor or Vice Mayor or maybe the City manager – or his go to Assistor gal Karen Daines…or city attorney or Any council member may feel this information is warranted and all of the city tax payers have the right to know the answer. Is this called Conflict Of Interest when City Employees discuss and promote Property Taxes and Bonds and Special Improvement Districts in order to find more money (revenues) to pay for their and Councils very expensive menu of property wants, bird pond, and all the rest that is far above and beyond just the necessary Needs of our little town? – and the vast majority of city employees doesn’t live within City Limits? I’m smelling a skunk! The further we go from beyond the basis necessaries of our town and the further we drift towards more having to take care of new land purchases and costs to maintain same and then new taxes, bonds and etc, etc, etc….the more vested the employees become in dictating to those of us who cover their pay checks…and the further away we go from having any control of a little tiny town of under 10,000 registered voters. OMG! Our Ship has been Sunk —on ever level. Then lets go to the properties the City wants to buy….Brewer, Shelby Drive and…oh shoot I almost forgot…the Chevron Station at the Y? So who is going to answer the question = how many city employees actually live inside the City? It starts to look like Marv has found the golden ring! Thanks Sharlett for repeating the question that Marv asked and your actually asking the City to answer question of how many people working for the city really live within the City. Any answer yet? Not seeing any response from City on this site. I do imagine they really don’t want to go there. That says too much to me and I hope others as well. So what is our next step to getting out of all the Land purchases that Council ( living in La-La Land) is trying to buy (at the Council Meeting on 9/10/13) and seems hell bent and involved with in order to have them pay money for Real issues and than to fix the drainage and road problems? Didn’t someone call their issues a Wish List or Want List vs. the basic needs? Didn’t I read someplace on this site that Council guy Mike Ward said at a public meeting that “WE” (the little folks) had to “understand” we needed new taxes to pay for all “WE” want? Think he mixed up who the real “WE” is! “WE” sure ain’t Mike Ward. This “WE” doesn’t give a dingle damn about City buying any new lands! I just care that this jacked City pays to correct the drainage issues “we” and they have as a result of their inaction for the completion of the Drainage Master Plan! How do people like me have a say and get the spend thrift mentality of this Council to focus on more important issues? Could someone answer me please? Think we are in dire straights. @Max probably the only solution to the question you ask is to move outside city limits and maybe consider applying for a job at city hall. BTW is it true that the Chamber of Commerce together with the Main Street organization are now taking credit for not only being the source of Sedona weddings but now the “Plien Art” event (or whatever the proper term)? Hey James – yep, you are correct that the “regional” Sedona Chamber, funded by the City, is now seeming to take full credit for Sedona Art Center’s historic Plein Air Festival which SAC created by themselves Years ago! Chamber and Mz Jennifer have also added activities to the great event to bring money to their pockets (a golf tourney at $150/person taking place outside the city limits of Sedona). By the way did you catch the Council meeting(s) on Tuesday 9/10/13? It lasted a tediously long 6.5 hours and was just disgustingly embarrassing, in my opinion. It actually reminded me of that old Abbot and Costello joke of “Who’s on First”. A past State Legislator, who is the current President of KSB, was raked over the coals by an angry and bitter council woman Barbara (who works at timeshare mega business Diamond Resorts as a sales person) regarding KSB’s efforts to obtain International Dark Sky Community Designation for our little town. This timeshare sales woman/council woman was just infuriated that there are lights on 89A and she “thinks” we don’t deserve such a great Designation – even though ADOT and the Mayor assured us back in 2011 that all the street lights were in compliance with Dark Sky regulations. Guess she and some grumpy others just can’t get over the fact that they lost out to a huge majority of 70% of our registered voters who wouldn’t give into her/their ego driven mentality of knowing more than the rest of us. Finally figured out how the City can get more money to pay for our basic needs of streets and drainage issues and without raising or instituting new taxes! My suggestion: they should search out some TV channel who would like to turn our Council meetings in to a Reality Show!!! I mean, after all – most of these elected folks are more dysfunctional than almost any of the other reality shows cast of characters….CRAZY and surely a money maker. P.S. If I could afford to move away I would. If I could do so I’d never tell any of my new neighbors I’d ever lived in Sedona because I’d be laughed out of the neighborhood! Read comments here frequently. Never contributed. “FAIR” stirred my curiosity enough to read the article and WOW! What a revelation. As a fairly new Sedona resident I’m interested in the upcoming election and especially perked up on the past voting record of someone I think will be running for City Council – Mike Ward? Must seriously think about that one. Am totally disenchanted with the current board except it seems the Vice Mayor now, John Martinez? – appears to have set a record of more conservative thinking. Thanks to “FAIR” for the alert to this very interesting article. I wonder how much Arizona costs the federal taxpayers of the US. Since in rankings the are in the bottom 5 when compared to how much they contribute to the feeder all budget as to how much theyvTAKE. Yes you Sedona complainers are all TAKERS anyway… Your taxes are keep artificially low thanks to other states that contribute more then they TAKE like NY and California….. So when it comes to “bed tax’ I can totally see how you think it’s yours since you all have a “taker” mentality .. that goes for you also Tony T….you are a user and taker . None of the bed tax money has to go to the Chamber, the majority can be used to mitigate tourist impacts. The residents should not be paying for tourist costs. @steve YOU came here to escape California taxes. @council MOST came here to escape high taxes. Some NY, Illinois, California and even bragged about buying cheap with hopes to sell high. States like AZ have residents BECAUSE it’s cheaper than other places. ENGAGE BRAIN & GET OFF THE AZZ YOU RODE TO TOWN. One of your finest articles and where should your work be found but on this website which supports good governance. Peter, you’re criticism is very misdirected. Examine through clear lenses what the 30 have done to Sedona by keeping your heads in the sand and misalignments. Good to read this account after all this time. It’s why I want to paste below from the article because we stakeholders need to remember what we’re giving up to Chamber ambition and to the Councils and affinity Groups. Eddie, your writing often finds the glints of gold hidden in the rhetoric of city hall’s power. Keep mining. This outlet is like the Ark riding a media swell and when the waters recede, you will have proved it mattered all along. Those you mentioned are just like you since you have lived in AZ along time(I say you on my life) not very flattering reviews for you BTW.. Since you’ve lived here so long you must be the biggest TAKER of all.. Does anyone else find it interesting that opponents of SedonaEye apparently have no place else to go except to expand their harping to Arizona State & the Federal Government? Pretty funny really. They have no more arguments against the true condition of the pathetic, poorly managed once Most Beautiful Place In the World. Not true anymore! You refuse to disclose your name, and try to divert from the subject at hand. Be real or go away. I did a little search of your name in sedona and guess what? When I house sit a friends house, my name does not show up on the title. Dummy. Your lack of imagination indicates you are a government employee.